Welcome to my PrizeGrab review! 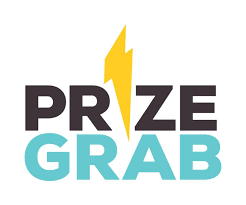 PrizeGrab claims that with 1 click entry, you're a click away from piles of cash, gift cards to Amazon, your favorite stores and restaurants! Not only this they also have hot gadgets like Apple products, TVs, Samsung phones, plenty of electronics, home & kitchen appliances, and even gaming systems! 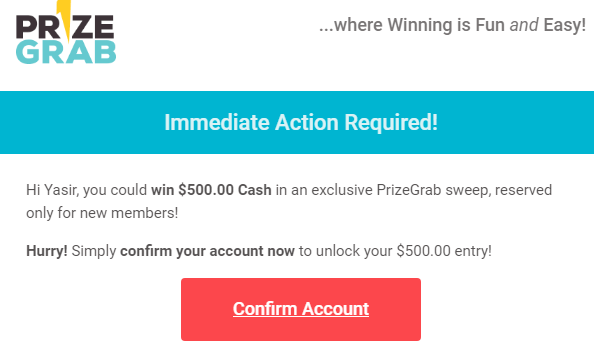 I know this makes you interested but if you are in need of honest information about the Prize Grab program and whether it's above claims are valid or not then you are going to get real light on it here. So I would ask you to pay keen attention to my PrizeGrab review and get to learn its true way of operation and the motive behind it which is going to shock you. And since I don't want to keep you in much suspense, let's quickly get into it. You will find my final verdict on this program below which will help you make a good conscious decision on whether it is a legit or scam site. Summary: A site where you can use your spare time to play and win prizes. There are tons of prizes available, and you can enter the draw just in a click of a button. Honestly speaking, among the other programs that use sweepstakes to make money, this is the better one, among them all. However, I don't suggest to be part of this program if you want to change your life and get rid off 9 to 5 job. For this purpose, you need to make an effort and change your life. I will give you a path and platform that will help you along the way to reaching your milestones. 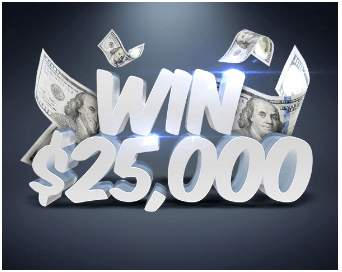 It seems like the sweepstakes have become a pretty popular technique to make a few dollars online and also get to grab a few prizes that come in handy for anyone who takes part in them. Almost two programs using the same strategy are getting launched every two months, then you will get in there, surrender your best email as you sign up and manage to get an entry to it. Well, when you get in you are going to be excited by all the jackpots that are up for grabs and the figures that are tagged on them which will make you want to play as many times as possible to see that you get to them. But once you have been on it for more than a month, you will come to realize that your email is getting many promotional materials than you thought. And when you look at your progress in the system, you will find that the effort you have been investing in it has not really amounted to anything significant. And that's when you will get the desire to want to know more about it. When you go online to look it up, you realize that you have been scammed. If you think about it and try to relate this to the Prize Grab program we are about to get into, is it possible to have this program working with the same scammy techniques? Would it be getting you all intrigued to get into it and make money as it claims and then gets you trapped in a series of endless promotions? Before going into further detail, if you are looking for earning a handsome income from home then let's look at my #1 preference. So then let's see how it really works. 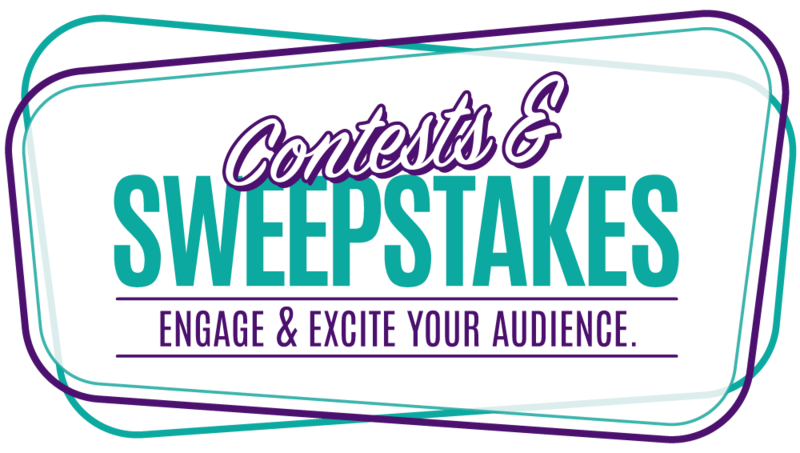 This is a sweepstakes program that is meant to help people who can spare a few minutes to play and win prizes get a chance to make something out of their free time. Here, you are going to get prizes from different companies which you can win just by making many entries the proper way, and if luck falls at your doorstep, you win the prizes that had been put up for that. But there is more to it than it appears. And before we get deep into details, I would like to give you my own redefinition of the program. To me, this is a program that wants to take advantage of the market gap between the companies who want traffic and sales for their products and the consumers who would want to get the products at low prices or even for free. The company basically uses the whole gaming thing to get people who are free and would want money and free stuff coming in and giving the company their information in exchange, which is used to give the company producing a variety of products a chance to market them and possibly make sales. Don't worry if you haven't understood that, I will be getting deep into that in a few moments. The owner of the program, as indicated in the program, is owned by Fun Grab, which is a company that deals with gaming systems. And it happens that it was registered in Delaware. If you want to participate, you will have to create your account first with the program. And to create your account, you only have to get to the program, and then click the "Log in" button which will take you to page you will have to give your name and email address. And then you will receive a link that gets you into the program from your email. Once you click on it and are taken to the program, you will have to confirm a few things, and that will be all. You have gotten your account! When you become their member, you are officially called "PriceGrabber." Currently, they are offering new members an entry into "$500.00 Cash Bonus Entry." From there, you will go straight into the playing, where you get to choose the gift you want to get and play for it. You could see the level you are in and how much entries you have made today. If you collect 10 entries in a single day, you will enter a streak. This will give you more chances to win rewards and prizes. You will then have to wait and see if you will win. Mostly, the draws have to go through and choose the winner of that particular prize. And the period it takes for the draws to be held vary with the value of the products. Usually, the cheap gifts like the $10 Amazon gift cards will have daily draws while the TV sets will take a bit longer, preferably more than three months. Whoever wins is contacted by email where he gets direction on how to claim the prize. 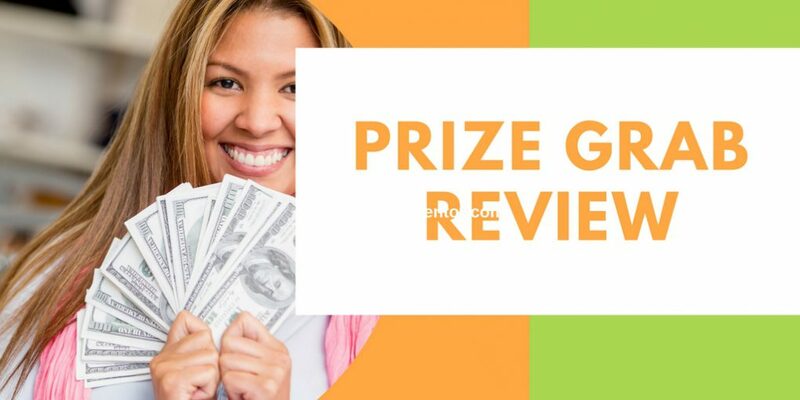 What happens when you claim the prize is, you have to fill in a few documents, the publicity, eligibility and liability release, and then submit them to the program to have them give you the prize. Also, you may want to note that the system also gives the third parties a chance to promote their products in the program through ads, which they pay for. That is why you will see a lot of ads in the program as well as in your emails. They give out your email to third-party vendors who have to pay for that. And here is where the first red flag is at. They get your email for free and then sell it out, and you don't even get to share in the profits they make. But on the positive side, they tell you upfront that they will be doing this. So you already know they will be doing this, and have to choose whether you will allow them or not. If not, you will have to notify them. More to that, the company says that it helps producer companies make more sales by getting them more exposure and awareness of their brand which improves the ability to see the sales hike. But what you don't know is that, when they say they will be getting product traffic and sales, they are usually targeting the members of this program, that is you and the rest, they don't go anywhere else to do that. They will just slip in some advertisements in your mail and most of the places you go a lot too, and then get you to click on them and follow the process. They state clearly that they will get free products from the companies which they will put them up for wins in the games. And then, using those products, they will have more targeted visitors come by being referred by people who have gotten to use the products. This program is best for people who want to be part of those who are looking forward to winning great prizes through online sweepstakes. If you want to see some free gift cards sent to you a few times a week, and get you to have great prizes you can make use of, then you should join this program. ​But you should note that there are times when people who have used it say that it is not paying. So you are kind of taking the risk of getting to win and not receiving the rewards of receiving them. But if you think about sweepstakes, literally everything about them is a risk. Another pocket of people I found useful in this program are the producers of different products. If you have any products you want to get more exposure for, then this is going to help you get that. You get the chance to submit your products to the program and have the program take care of the promotions. They will be sending or rather spam people's emails with ads meant to create awareness of the products to see if they will be interested in them. And if they are, they will click on the ads and be directed to your website to get more information about the product and even get to buy. And this, I can tell you, does convert really well. But as you go about either wanting to make your product known through the system here or want to take part in the sweepstake, you should note that not all people are going to be able to do this. The program is not made for the United States citizens, but not all of them. ​Firstly, other countries in the world aren't going access to this program. So if you don't live in the United States and perhaps wanted to get an account and start playing, you are going to get a little disadvantaged here. If you just had your new products launched and wanted to extend their reach through this, you won't be able to do it. You may want to try out others tactics like Facebook marketing. Secondly, if you live in the US, but in the areas where the authorities have prohibited the sweepstakes, you are also not going to take part in this. And these include places like Puerto Rico, Guam, and US Virgin Islands among others. There are no specific resources to help you make the most of the product, as a player. But for the merchants who want to have their products promoted, you are going to get a page where you can submit the request for buying that provision. After you show your interest by filling in the required details, you will have to wait and have them review your request, after which you are going to get the feedback to know whether there is space for that or not, which will require you to wait. Oftently, you are going to find the program with expensive products, but that's not always the case. You may get lucky and have them accepted at the first trial, you never know. There are many rules you get for the products you choose to play for. And the products that are currently in the play are so many, but I will mention a few. So for all these, you get pretty much the same terms and conditions. But the most common one that is seen in all the plays is the one for claiming your prize. And you are basically told that you only have 5 days to make your claims, after which the prize will be forfeited, and taken back to the draws. You won't be given more time to respond. You get to take part in the program, as a player, without paying anything. You get to earn prizes that won't cost you a dime. There are so many prizes to be won. And most of them are things we have always wanted to own. So you can try your luck and see if you will get them without paying anything. 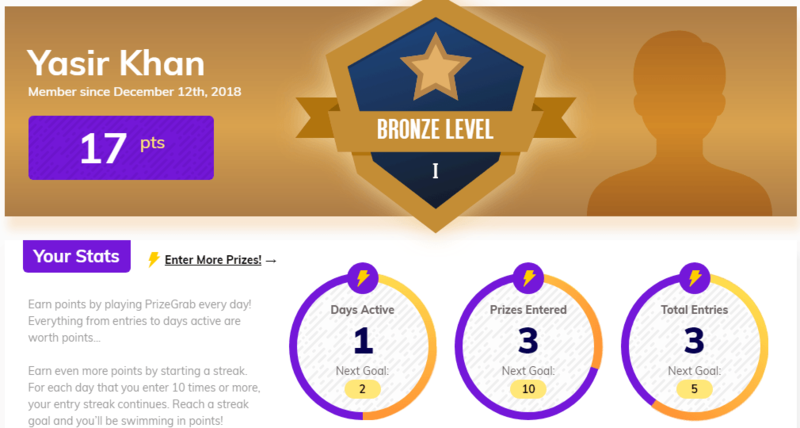 ​Depending on the value of the prizes, you get to choose from a variety of prizes, the daily, weekly and monthly rewards that are all great. You also get a chance to take part in the Facebook contests that give you the chance to win more amazing prizes. You are working with a trusted brand, and thousands of people trust them. They sell your information to merchants. The information you are going to feed in about yourself as you register is going to be taken and used to help the merchants track your activity trend and promote products to you. It's only for the US residents. If you are from other countries or regions that have been prohibited from playing sweepstakes in the USA, you won't have the ability to take part in it. ​You only get 5 days to claim your prize. If the period ends you will have your prize forfeited, and another winner will get it. You don't get a more extra grace period after that. You email get spammed with promotions and special offers that they want you to click on and make sales. These promotions can be very annoying especially when you get lots of them throughout the week. ​Well, there is a lot to talk about the Prize Grab. And you are going to see that the program is good to a certain extent but then mixes itself up with some few other unethical practices that make the value of it go down. The fact that you are working with a legit company and it is sure to pay. And the system they are using is very reasonable as they get to favor both the clients and the consumer side. By having ready traffic, people who often make purchases online, the clients are going to find an easy time selling their products and making them to huge amounts of people all over the world. ​The spamming tactic is yet another huge concern for me. If all you get when you wake up is a bunch of promotional emails from the program, and rarely get the prize-winning notifications, I wouldn't be any motivated to open the emails. In fact, I would unsubscribe from the mailing list as soon as I get in there. Franky speaking, among the other programs that use sweepstakes to make money, this is the better one, among them all. Note that I haven't said it is the best as there are some other not very good features of it you will get. Final verdict - Legit but not too good. Have you been in this program before? Have you won anything yet? What was your first experience with it like? Do you still take part in the draws? The daily, weekly or monthly ones? What can you generally say about it? We would love to have your answers on these; please leave them below. Want a program that will give you a full-time income without having to depend on chances? Want a program that is going to help you set up a business online using a passion for having? Want to get trained by the best-paid bloggers in the world? Then you should see my #1 recommendation. I have been using this business model sine 2015, and the focus of this platform is on affiliate marketing. It is a friendly supportive system to take a start and make a full-time income from home. What's your thoughts on my PrizeGrab review 2019, please share with me in the comment section below. I’ve only been involved with prizegrab for a few weeks. I’m exactly the person described above..been putting my time & effort in to no avail & needed to make sure I want being totally scammed. I’ve only received spam from the ads I’ve clicked on. As for simply entering to win I haven’t seen any downside..yet. Well, other than the literal hours it takes to do so. I was hoping this review would have statistics on winning but I realize they would be a guess as there cannot be real statistics without knowing number of entries, which of course varies. SO..IMO if you avoid the ads & extras & have hours of your day to waste then prizegrab is ok. I may have a different opinion if I actually win something. I unsubscribe 5+ times a day. But they keep coming. This started when I went to my Home Depot reciept and tried to log on for there prize. I won 1000 dollars and they want me to fill out a form with y social security number on it. I am Leary about giving it our, is this safe to do? Today is my last time with PRIZEGRAB. It is just too tedious and actually, boring too. Even with some good prizes, I just tired of it. Good luck to others willing to stick with this and have the time and energy for it. I agree it’s too time-consuming. It takes forever, all day to do all entries., all to no.avail. Sooo many prizes and I never win anything not even a 10.00 Amazon gift card. I don’t know how much longer I will keep playing. Taking one day at a time.